﻿Interior Painting ﻿– Attention to detail gives a beautiful finish to interior painting. Careful prep work, a prime coat and two top coats result in even color, a velvet finish and neat, crisp woodwork. Neatness counts! 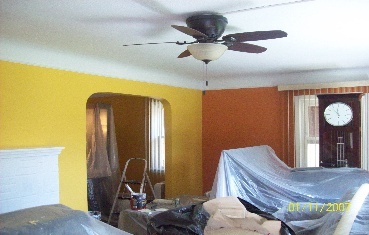 At D & Painting, we are Cleveland's Painting Contractors, we respect your home. Furniture is protected by drop clothes. Fine woodwork is masked off so that paint goes only where it's supposed to. Preparation is key to a superior house painting job. The hours of prep work give the finish that finished look. 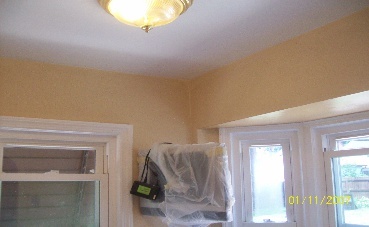 At D & Painting, we like to do a thorough job, with attention to detail. We scrape, repair and sand until it's smooth, then put it back together with attention to every step. After meticulous prep work, we apply primer and two top coats. The primer seals and allows the first top coat to adhere. The second top coat gives the room a finished, complete look, with smooth even color and texture. Double priming may be needed in some circumstances, such as when changing colors, or when the walls are very dry. A third top coat is sometimes needed when changing to a darker color. If you need a house painter to turn your rooms into a beautiful retreat, feel free to call us. 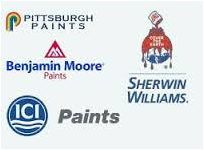 Cleveland House Painters, Inc. covers every aspect of property maintenance, including but not limited to interior/exterior house painting, drywall, pressure washing, and more. One Number – One number to provide all of your home maintenance and emergency needs: (216) 246-0317. 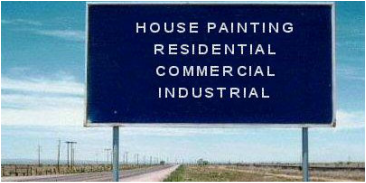 View our latest Blog concerning our painting services. Painting the Interior: Prep is the Key! First step in any interior project we take is preparing the space where we’ll be working. Usually we move the furniture to the center, side or if possible move it outside of the room; then remove fixtures, hardware, electrical outlets, nails, and doors as needed. Next - we tape, cover with plastic or drop cloths any areas to protect your floors or furniture, and work on the wall and ceiling preparation. Typically it involves speckling nail halls and cracks, drywall repair, caulking, sanding and priming before we can start making your place look clean and new again with a fresh coat of paint. Finally, we remove any masking tape, plastic, tarps; put the hardware and electrical outlets back, and move all of the furniture to the original place. 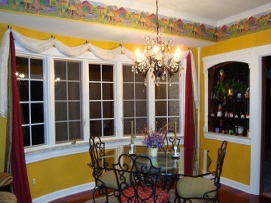 Hiring the right interior painter for the job is an important part of finishing or remodeling the inside of your home. The right materials and professional workmanship is a key factor that any interior painter should consider in getting a perfect, even paint coat. Experience - We are the ﻿Painting Contractors﻿, that offer top notch services. 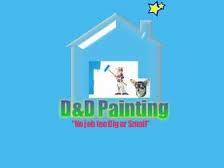 D&D Painting has been painting interiors of houses and offices since 1979 and has seen and worked on almost everything. No job is too big or too small. D&D Painting knows how to prepare and paint all types of interior surfaces and materials including wood, sheet-rock, plaster, metal. Additionally we have plenty of experience painting walls, ceilings, moldings, trim, doors, windows, furniture, family rooms, kitchens, bedrooms, bathrooms and much more. Your home, apartment, business, church, school is in great hands with D&D Painting's experienced interior painting professionals. 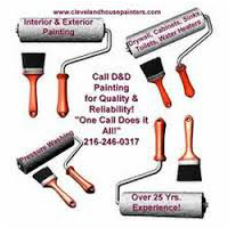 Affordable - Priced just right, D&D Painting interior painting jobs are always competitive and what you would expect to pay for a quality job. 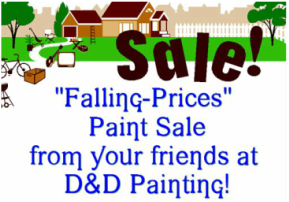 Find out today how affordable D&D Painting's interior painting service really is. View our About Us page for our company history. Satisfaction Guaranteed - Naturally D&D Painting guarantees that you will be satisfied with your interior painting. The job will be done to your specification and we go the extra mile to make sure you are not only satisfied, but actually happy with your newly painted interior! We offer our Customers Testimonials on our﻿ Painting Services﻿. ...Custom staining/finishing of any woodwork. We begin the process by visiting the home, estimating the costs and completing a bid proposal. If awarded the job, we will finalize colors and purchase all materials. We enter the home and protect the carpet by wearing clean shoes. Also, we cover flooring with clean drop cloths or self-adhesive plastic on carpet as needed. Next, we gently move furniture away from walls and cover them with fresh, clean plastic. We begin by filling holes, removing light switch covers, and sanding where needed. When painting walls, we protect wood work with tape and plastic to avoid splatters. First, we set up the paint outside the home. Next, we apply samples to assure the color is pleasing. On walls, we use an old fashion brush and roller applied with long roller poles for high walls and ceilings. When working, we focus on completing each area in order to minimize our presence,. After completing the painting, we thoroughly clean and dust all surfaces before performing a walk through with the customer. Upon completion, touch-up paint is labeled and placed in the garage, unless otherwise specified. Payments can be made in person. The times is now to add color to your home or business, don't miss out on the chance to add curb appeal with our Exterior Painting Services as well, including Pressure Washing and Gutter Cleaning the final touch and sparkle to your home. Find out what our customers tell us on our Testimonials page. 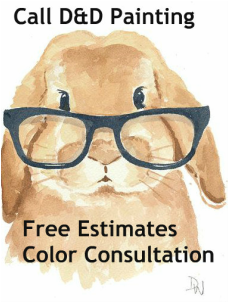 Contact us today for a Free Estimate and Color Consultation. Our setup procedures for interior painting projects include careful protection of your home and your belongings. The crew leader will ask if anything needs special attention and will work with you to ensure its protection. Our cleanup procedures include vacuuming the work area, checking hardware, and wiping the baseboards to keep your home clean. 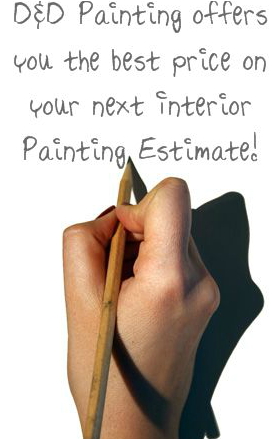 You will also have an opportunity to grade the interior painting crew upon completion. We work hard to earn an “A” grade.